The attorneys at the Law Offices of Peter Alfert are experienced at handling serious bicycle and motorcycle accident cases and can offer legal guidance when dealing with the issues that arise in these cases. Riders are at a serious disadvantage because of the small size of a bicycle or motorcycle in relation to a car or truck. Lifelong disability or wrongful death are frequent outcomes. Injuries such as these can be life changing, impacting the injured person’s ability to work and tend to their daily activities. Our attorneys have an extensive record of successfully handling bicycle and motorcycle cases, obtaining compensation for clients for past and future wages, medical expenses, pain and suffering and other damages arising from the accident. Our law firm consults with life care planners and vocational experts in such cases to ensure that all the long term costs of the injury are included in the recovery. Our clients come to us after being injured by cars that did not stop at stop signs or traffic lights, vehicles that made right turns without seeing the bicycle or motorcycle and drivers who did not signal their lane change and forced the bicycle or motorcycle onto the shoulder or into an adjacent lane. Our law firm investigates accidents such as these, consulting with experts and specialists, photographing the scene and determining the degree of liability of the other vehicle’s driver. 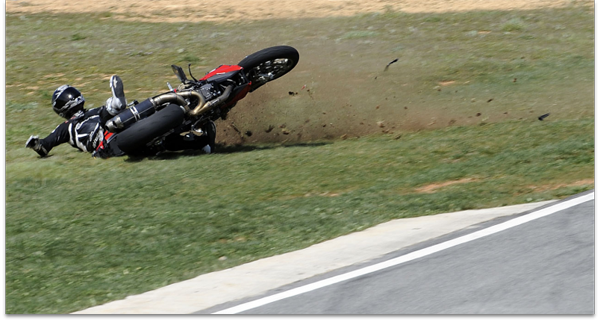 For additional information about bicycle and motorcycle accident claims, complete contact a Walnut Creek bicycle accident attorney or call 925-279-3009.